BREIZH AMERIKA strives to highlight the long history of friendship and cooperation between Brittany, France and the United States of America. From the large number of Breton sailors and soldiers that left the ports of Brittany to participate in the American Revolution, the 800,000 American GI's that disembarked in Brest to fight in WWI, and the large emigration from Central Brittany to North America over the last century has helped create an undeniable link. An exposition is organized annually in July and August by Bretagne Transamerica at the Chateau de Tronjoly in the city of Gourin, France, tracing the history and stories of emigration of over 100,000 Bretons to North America. ​Véritable porte d'entrée de l'Europe, la Bretagne a créé, au fil des décennies, des liens étroits avec les Etats-Unis. C'est ainsi dans le petit port de Saint-Goustan, à Auray, que l'un des pères fondateurs des Etats-Unis, Benjamin Franklin, débarque en 1776 pour demander de l'aide aux Français contre les Britanniques. Bien plus tard, c'est encore à Brest et à Saint-Nazaire que la majorité des troupes américaines arrivent pour épauler les armées françaises et britanniques lors de la Première Guerre mondiale. 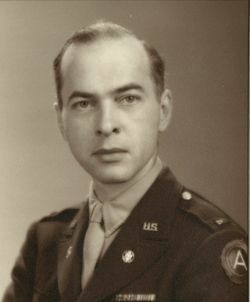 Prior to his service in the U.S. Army, Skilton worked as a curator at the National Gallery of Art in Washington, D.C. Along with other future Monuments Men, Craig Hugh Smyth, Charles Parkhurst, and Lamont Moore, he took part in the evacuation of seventy-five of the museum’s most important works to the Biltmore Estate in Asheville, North Carolina. From January to June of 1943, Skilton supervised the maintenance and care of the artworks as a curator in residence at their temporary home. Soon after, he was called on to join the MFAA as the Allied troops prepared for their invasion of Normandy. After D-Day in 1944, Skilton joined troops on their march across northern France, inspecting and repairing great cultural monuments along the way. On August 28, 1944, American troops entered the small town of Plougastel-Daoulas, near the city of Brest. Lt. Skilton was among them, and noticed a damaged Calvary scene near a destroyed church. The large monument was like many others built across Brittany, a four-sided sculpture representing scenes from life and death of Christ. This particular Cavalry was most likely constructed in 1598 by the Sire de Kereraod to praise God for having brought an end to the plague in Plougastel. Skilton, in awe of its beauty and understanding of its cultural value, collected the numerous statues from the damaged Calvary and stored them in the attic of the presbytery. He pledged to help salvage the grand sculpture if he survived the war, and upon his return home to the States, founded the Plougastel Calvaire Restoration Fund to raise funds for the restoration. The work was completed in 1948-49 by the sculptor John Millet. 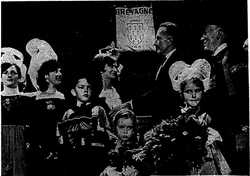 For his dedication to the town, Skilton was named an Honorary Citizen of Plougastel on July 16, 1959 and a town square was also named after him. 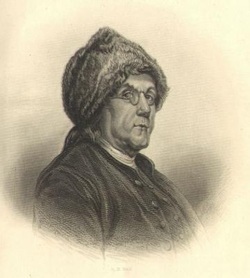 On October 26, 1776, exactly one month to the day after being named an agent of a diplomatic commission by the Continental Congress, Benjamin Franklin sets sail from Philadelphia for France, with which he was to negotiate and secure a formal alliance and treaty. Franklin arrived on December 4th in the Breton port of St Goustan, Auray. 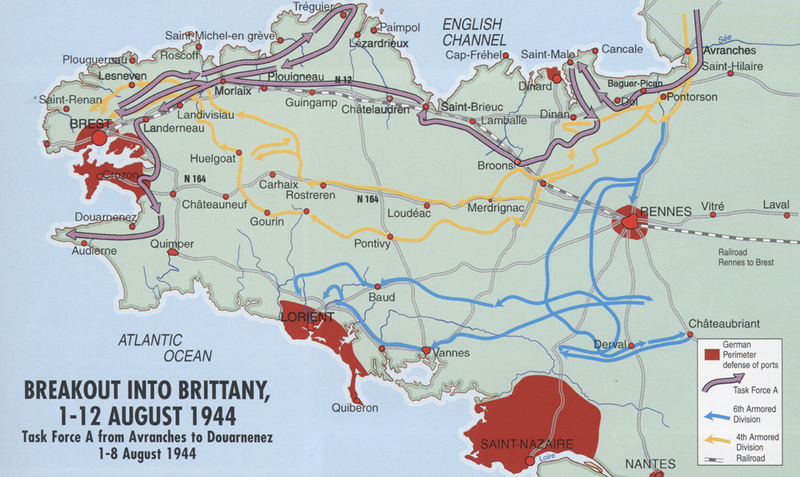 The Battle for Brittany took place between August and October 1944. After breaking out of the Normandy beach head in June 1944, Brittany was targeted because of its naval bases at Lorient, St. Nazaire and Brest. By the time of Germany's surrender in Brest on September 18th, the Americans had lost 10,000 killed and wounded. Brest was destroyed - including its harbour. 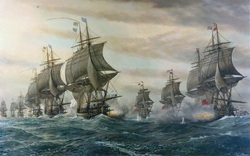 Rather than risk the same at Lorient and St. Nazaire, the Americans simply surrounded the ports for the rest of the war. The port of Brest, which was the largest military harbor in France or even Europe at the time, played a key role in the deployment of French forces that participated in operations in the Americas on the side of the colonists. The fleets of Admirals d'Estaing, Lamotte-Piquet, Suffren, Count de Grasse, and troops of Rochambeau all left from Brest. A majority of sailors of the French fleet were of Breton origin. Records reveal high levels of recruitment across Brittany for service in the Americas. C’est un fait certainement peu connu des Quimpérois mais la Ville de Quimper a participé au financement de la statue de la Liberté érigée à la suite du centenaire de la fête de l’Indépendance américaine célébrée en 1876. Cette généreuse idée lancée par l’écrivain français Edouard Lefevre de Laboulaye se concrétisa par l’engagement dès 1870 du sculpteur Bartholdi chargé de la réalisation du modèle de la Statue. Gustave Eiffel reçu pour mission à sa suite de concevoir l’armature du colosse offert aux Etats Unis par la France. La statue monumentale devait être érigée dans le port de New-York sur Bedloe's Island, sur les fondations en étoile d’un ancien fort militaire auquel la statue donna son nom de Liberty Island. En France, la campagne de financement pour la Statue débuta à l'automne 1875. 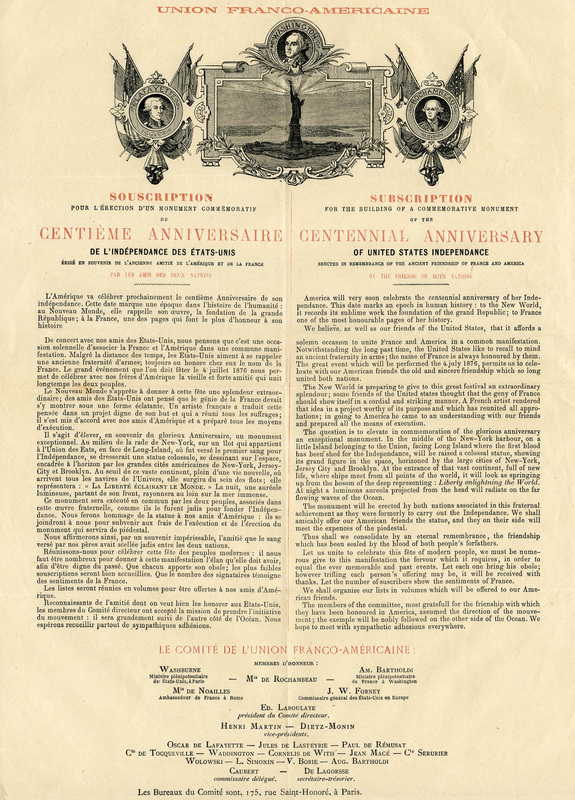 C'est l'Union franco-américaine, fondée en 1874, qui se chargea d'organiser la collecte des fonds pour la construction de la Statue. Le 5 mai 1876, le président de l’Union Franco-américaine Laboulaye écrivait au maire de Quimper, Joseph Astor, pour solliciter une participation de la ville : Nous espérons Monsieur le maire que le Conseil municipal de la ville de Quimper voudra bien adhérer à notre œuvre qui rappelle de si nobles souvenirs à tous les cœurs français et qui, au point de vue de nos intérêts est destiné à exercer une grande influence sur les relations des deux pays. Les villes de Brest et de Rennes avaient elles-aussi participé à cette généreuse souscription. Le 30 mai 1876 le Conseil municipal de Quimper votait une subvention de 100 francs or. Le 1er juillet 1876 le président Laboulaye écrivait au maire de Quimper : Le comité de l’Union Franco-Américaine a l’honneur de vous adresser tous ses remerciements pour la part que la Ville de Quimper prend à notre œuvre de fraternisation. Nous sommes heureux de pouvoir vous inscrire sur notre livre d’or qui doit être offert en album aux Etats-Unis pour être conservé dans leurs archives, l’adhésion de la ville de Quimper. Le projet finalement retenu en 1879 allait représenter la Liberté éclairant le monde. Il s’incarnerait dans un personnage féminin d’inspiration classique, drapé, avec un bras levé, portant une torche, alors que l'autre retenait une tablette gravée, un diadème lui scindant la tête. Quimper y avait apporté sa pierre. Le monument fut inauguré le 28 octobre 1886, haut de ses 92,99 mètres, la Liberté se tournait vers l’océan. Son flambeau allait désormais éclairer la route des millions d’immigrants et de déshérités de la vieille Europe et du monde entier, en quête d’un avenir meilleur. Misérable rebut de vos rivages surpeuplés. Je lève ma lampe près de la porte dorée. Pensé initialement pour restaurer le lien particulier unissant la France et les Etats-Unis d’Amérique, ce cadeau monumental du au génie français est finalement devenu avec les années le plus universel des symboles de la Liberté. When they first came here in the early part to this century, the Bretons worked, played and stayed so tightly together in New York that few of them learned to speak English. Nevertheless, they were promptly dubbed The Americans when they returned home. Today, most of them seem to pick up English quite fast, perhaps because not all of them still live together in the Forties around Ninth Avenue. Many have moved to Astoria, Queens, and a few live on the East Side. The Bretons, who are a Celtic people (they were driven out of England by the Anglo-Saxons about 14 centuries ago), have no great culinary tradition. “But they have a natural feel for cooking,” said Mrs. Robert Low, wife of the councilman, who has had a succession of Breton housekeepers. Mrs. Low, who said that a Breton never left without finding a replacement, has visited Bretons who have returned to France. Children Stayed in FranceThe original pattern seemed to be for the husband to go to work in a restaurant and the wife to go into domestic service. “People take more interest in a country through their children than they would otherwise," said Jean Bodenes, owner of Le Cheval Blanc (145 East 45th Street). Mr. Bodenes traces the start of the Breton restaurant monopoly to the closing of the Michelin Tire Corporation's factory in Milltown, N. J. during the Depression. One of the leading figures in the Breton community is the ample one of Mrs. Anna Daniel, who came here in 1914 and might he considered typical of early immigrants. She went to work for a lawyer on Park Avenue (she is still in service there), married a chef who worked in a private club until his death, and had two daughters whom she sent back to France to be raised by her sister before bringing them back here. Although Mrs. Daniel owns a house back in Gourin, she does not plan to live there. “This is my home,” she said, placing her hands over heart. Mrs. Daniel used to bring a lot of girls over to work for friends of her employers. “How many times have I gone to Ellis Island to get them,” she reminisced. I would vouch for them and then get them fixed up properly so they could work in homes. Now all that has stopped." Restaurant owners are already worried about the situation. “In a few years it will be very difficult,” said Edouard Duthu, one of the owners of Le Marmiton ( 216 East 49th Street). Mr. Duthu is not from Brittany, but most of his employees are. “And a French restaurant without French help is not much appreciated." he added. “They are individuals, stubborn," he said. “But if you treat them right they work! very hard. And believe me it is no picnic to carry dishes all day. “I'm mixed up,” he admitted, and added that in three months he plans to take a vacation in Gourin and marry a local girl. Grateful for Opportunities“In France I wouldn't be able to open a restaurant like this, even if I worked my whole life," said Albert Deniel, who opened La Grillade ( 845 Eighth Avenue, at 51st Street) in August. They have two children who attend l'Ecole Francaise, but prefer to speak English. "We try to keep together in New York by having four or five gatherings a year.” said Roger Gourin, president of the 300-member Brittany Association. The World War I Naval Monument at Brest, France stands on the ramparts of the city overlooking the harbor which was a major base of operations for American naval vessels during the war. The original monument built on this site to commemorate the achievements of the U.S. Navy during World War I, was destroyed by the Germans on July 4, 1941, prior to the United States entry into World War II. The present structure is a replica of the original and was completed in 1958. The monument is a rectangular rose colored granite shaft rising 145 feet above the lower terrace and 100 feet above the Cours d'Ajot. It sits upon a German bunker complex at the approximate site of the original monument. All four sides of the monument are decorated with sculpture of naval interest. The surrounding area has been developed by ABMC into an attractive park. Henri Salaun: "widely considered one of the world’s most influential squash players." We are sharing with you today the amazing story of Breton-born Henri Salaun. Possibly the only Breton to ever be featured on the cover of SPORTS ILLUSTRATED. Born in Brest, he was forced to flee the city as German troops invaded on May 10, 1940. Immigrating to Boston he excelled at racket sports at Wesleyan University. After serving in the US Army in WWII, he returned to the United States and began one of the finest professional squash careers in history. He won the first international U.S. Open of squash in 1954 (then called the North American Open) — the final was a high-profile match against Pakistan’s Hashim Khan. Salaun also went on to win America’s national championship four times (1955, 1957, 1958, 1961), and was an eight-time winner of the Canadian Open. It’s a long and intriguing success story — one that begins with a harried departure from pre-war France, winds through the Wesleyan University campus in Middletown, climbs to the highest of highs in professional squash, then quietly settles down to a home in Needham, Mass. This is the story of Henri Salaun. He’s widely considered one of the world’s most influential squash players, and cut his teeth as a three-sport athlete at Wesleyan in the 1940s. 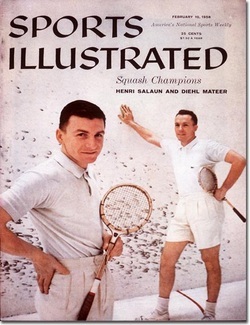 Salaun, 87, went on to win the inaugural U.S. Open of squash in 1954, earned a bevy of national championships and even adorned the cover of Sports Illustrated in 1958. But like so many people of his era, Salaun’s life wasn’t shaped by sports. It was shaped by World War II. His Wesleyan career was bifurcated by World War II — that’s a story we’ll get to in a bit — but his first run-in with the war was as a 14-year-old boy in Brest, France. Germany invaded France on May 10, 1940, then started funneling troops toward the coastal northwest where Salaun lived with his mother. Amid growing tension and fear, Salaun’s mother caught word of a boat leaving for England. Immediately, she packed up her things and instructed her son to do the same. In a matter of moments, the two were driving to the coast (about 20 miles away). Once at the docks, they ran the last half-mile or so as German scouts watched from a nearby hill. It was minutes before the boat was to set sail, but the man acquiesced. After a month in England, Salaun’s mother made contact with Arthur Hill, a friend living in Boston. At that time, immigrants needed an American sponsor to travel to the United States. Hill, a lawyer, gladly helped out. Salaun and his mother hopped the next boat, crossed the Atlantic and landed in Boston. His mother, fluent in English and French, quickly got a job at the French consulate and found an apartment on Beacon Street. Salaun, meanwhile, knew little English and had yet to begin American schooling. So he would go to Boston’s museums and movie theaters, trying to soak up what English he could. Once comfortable with the language, he began attending Deerfield Academy, where he began expressing himself with a more universal language: sports. Salaun was a natural athlete: he had grown up playing tennis in France. He picked up squash and soccer at Deerfield Academy, and quickly became one of the school’s finest talents. He was given a free membership to Boston’s esteemed University Club on Beacon Street (not far from the apartment where he and his mother first lived) and in a matter of years became the club’s top player. In the meanwhile, Salaun was accepted to Wesleyan — thanks in part to a connection between the Deerfield Academy headmaster and Wesleyan president Victor L. Butterfield, who was also a Deerfield alum. At Wesleyan, Salaun earned All-American honors in soccer and competed nationally in tennis and squash. He studied languages, and joined the Alpha Delta Phi fraternity on campus. But two years into his college career, he was drafted. Fluent in French and English, Salaun was of great value to the army. He was immediately sent to Germany — returning to Europe not five years after leaving his home in the Brittany region of France — and spent time not far from the French border. At one point, Salaun survived a German ambush. The rest of his unit did not, and the 19 year old was utterly alone in the German countryside. Salaun hid all night, lying still under blankets and benches. The German troops never entered the cabin, and Salaun managed to make it back to the American lines the next morning. Not long after, Salaun received an honorable discharge, and like many young soldiers, returned to America and their college careers. Salaun returned to his squash career, graduated in 1949, and then began one of the finest professional squash careers in history. He won the first international U.S. Open of squash in 1954 (then called the North American Open) — the final was a high-profile match against Pakistan’s Hashim Khan. Salaun also went on to win America’s national championship four times (1955, 1957, 1958, 1961), and was an eight-time winner of the Canadian Open. Dinerman likened Salaun’s playing style to the “murderous aplomb of a dinner guest quietly pocketing his host’s most expensive silverware.” Salaun continued to play competitively into his 70s, and his loss in the U.S. 70-and-over final in 2002 came 51 years after his first national tournament appearance. Salaun is a member of the inaugural class of the U.S. Squash Hall of Fame in 2000, and also part of the first Wesleyan Athletics Hall of Fame class in 2008. Salaun later began Henri Salaun Sports Inc., a sporting equipment company in New Hampshire. He now lives in Needham with his wife of 63 years, Emily. In the early 1900's, a number of wealthy Americans were seeking to purchase the 16th century Château de Kerjean which is located in Saint-Vougay, Brittany. It was even rumored that famous industrialist H. C. Frick was one of the perspective buyers, proposing to ship the castle piece by piece back to America. 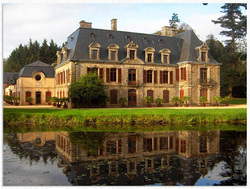 In 1909, two American architects travelled to Brittany to make accurate plans of the chateau. The castle was finally sold to the French Government in 1911 for $50,000 by the Countess de Coatgourden. Eisenhower a souligné le rôle militaire de la Résistance bretonne lors de la Libération, mais elle a eu un rôle civil tout aussi important, avec l'installation des autorités provisoires prévues par le Gouvernement provisoire de la République française (GPRF).Ce satisfecit ne doit pas faire oublier le prix payé, conséquence d'une répression accrue. Entre la fin de l'année 1943 et le 6 juin 1944, les arrestations de résistants bretons se multiplient. Comme celle, le 10 décembre 1943, de Maurice Guillaudot, commandant de gendarmerie du Morbihan, mais aussi chef départemental de l'Armée secrète (AS) qui a transmis des rapports sur « le panier de cerises », nom de code pour l'état de la défense allemande et son implantation. Malgré ces interpellations, l'activité et les effectifs de la Résistance augmentent sans cesse. Mais la route est encore longue entre le débarquement en Normandie et la libération totale de la Bretagne, après le 8 mai 1945. Appliquant, dès le signal donné sur la BBC, les plans de sabotage des Alliés destinés à paralyser l'ennemi, des groupes de résistants passent à l'action dans la nuit du 5 au 6 juin, puis les jours suivants, retardant l'acheminement de troupes et de matériel allemands vers le front normand ; certaines colonnes mettront ainsi deux semaines pour aller de Redon à Avranches (150 km). La nouvelle du débarquement entraîne un afflux de jeunes vers les maquis. Mais les résistants manquent d'armes, même si des parachutages, après le 6 juin, améliorent la situation. L'opération alliée déterminante en Bretagne est menée par des parachutistes français du 4e bataillon de SAS (Special Air Service, une unité des forces spéciales britanniques) dirigé par le commandant Bourgoin, dit « le Manchot » – blessé lors de combats en Tunisie, il a été amputé du bras droit en février 1943. Quatre sticks (groupes de combat) de près d'une quarantaine d'hommes doivent créer deux bases pour accueillir les autres éléments du bataillon. Leur objectif est d'évaluer les forces allemandes et les possibilités d'action avec la Résistance. Mais ils sont parachutés à l'aveugle. Dans la nuit du 5 au 6 juin 1944, un stick est largué sur la base Samwest, près de Saint-Brieuc, et entre en contact avec des groupes FTPF (Francs-tireurs et partisans français) ; mais dès le 12 juin, à la suite d'attaques allemandes, ils décrochent. Le deuxième groupe, dirigé par le lieutenant Marienne, a été largué sur la base Dingson, dans le Morbihan, à 2 km de l'endroit prévu. Les hommes parviennent malgré tout à établir le contact avec la Résistance : près de Saint-Marcel, la ferme de la Nouette, habitée par la famille Pondard (les parents et leurs huit enfants) devient le point de ralliement. Le manque d'armes se fait de plus en plus criant ; dans l'urgence, le 8 juin, le lieutenant Marienne télégraphie au commandant Bourgoin encore en Angleterre : « 10 compagnies faiblement armées sur 25. Envoyer urgence tous officiers disponibles, troupes et matériel en particulier Bren Guns. (…) Suis enthousiasmé par organisation et ses immenses possibilités. » Il fait référence à la Résistance morbihanaise, dirigée par le colonel Paul Chenailler, « Morice », successeur de Maurice Guillaudot, qui s'appuie principalement sur les brigades de gendarmerie. A la suite de ce télégramme, le reste du bataillon est largué avec le commandant Bourgoin et son parachute tricolore ! Du 9 au 17 juin 1944, 68 avions lâchent une moyenne de 28 conteneurs apportant des armes, des munitions, des conserves mais aussi des vêtements et des chaussures, signe du dénuement des FFI. La nouvelle de la présence de troupes alliées se répand très vite. D'après le commandant Bourgoin, quelque 3 000 à 4 000 hommes passent à Saint-Marcel prendre des armes entre le 10 et le 18 juin, avant de regagner leur maquis. Environ 2 500 hommes sont retranchés dans le camp de 400 hectares quand il est attaqué, à l'aube du 18 juin 1944. Les affrontements durent toute la journée ; les Allemands engagent d'abord une compagnie de parachutistes, puis une compagnie de Géorgiens et deux bataillons d'une division d'infanterie qui devait se rendre initialement sur le front de Normandie. Le combat cesse avec la nuit. Quand, le lendemain, les troupes allemandes veulent prendre l'offensive, aucune résistance ne leur est opposée : SAS et FFI se sont dispersés pendant la nuit. Les jours suivants, la répression s'abat sur le village de Saint-Marcel, qui est incendié, et sur tout le centre de la Bretagne. Les civils ne sont pas épargnés ; l'occupant est aidé par la Milice et des troupes supplétives. Les maquisards qui n'ont pu se replier sont faits prisonniers et exécutés. Stratégiquement le succès est au rendez-vous. 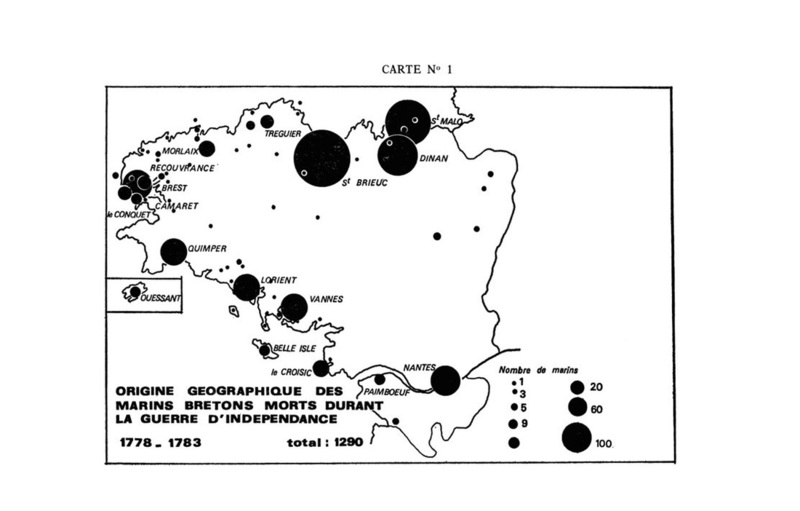 Pendant plusieurs jours, l'envoi de renforts allemands sur le front de Normandie est retardé. Le retentissement est énorme auprès de la population – le maquis de Saint-Marcel reste un marqueur de la mémoire bretonne. Dès le Débarquement, les représailles allemandes ne se font pas attendre. Le 7 juin, 74 notables bretons sont arrêtés puis emprisonnés à Rennes. Le 8 juin, 32 résistants dont neuf Espagnols et Maurice Prestaut, le chef régional du mouvement Défense de la France, sont exécutés à Rennes. Pour l'occupant, alors que les troupes américaines approchent, la lutte contre les « terroristes » et les « bandes » est une priorité. Les Alliés, eux, bombardent ponts et noeuds routiers et ferroviaires, atteignant des villes (Fougères) ou des bourgs (Montfort-sur-Meu) pour la première fois. Ce n'est toutefois que le 31 juillet que le VIIIe corps d'armée du général Middleton appartenant à la IIIe armée commandée par Patton atteint les portes de la Bretagne. Rennes est libérée le 4 août – la veille, 900 résistants sont déportés en train –, Saint-Brieuc, Ploërmel et Vannes le 6 août, Morlaix et Quimper le 8. Cette avancée rapide des troupes américaines est facilitée par le peu de résistance des soldats allemands, qui se replient vers les ports ou vers l'est de la France – et par l'action des Forces françaises de l'intérieur (FFI). A cette date, ces derniers comptent entre 30 000 et 35 000 combattants pour toute la Bretagne. Ils tiennent les routes, « nettoient » les arrières des troupes américaines, contribuant ainsi largement à la libération de la région. Ils paieront un lourd tribut, comme les civils qui les aident et qui, découverts, sont systématiquement exécutés par les Allemands. Des monuments le long des routes bretonnes le rappellent. Si, en quelques jours, les Américains pénètrent profondément en Bretagne, la situation n'en reste pas moins ambivalente dans les mois qui suivent : l'installation des nouvelles autorités de l'Etat désignées par le GPRF se fait sans problème majeur, mais les combats se poursuivront jusqu'à la capitulation allemande, le 8 mai 1945. En effet, la progression des Alliés est stoppée devant les ports transformés en forteresses. Aidés par les FFI, les Américains doivent réduire une à une les poches côtières. La forteresse de Saint-Malo est libérée le 17 août 1944 mais totalement détruite. Arrivées aux abords de Brest le 7 août, les troupes du général Middleton sont confrontées à une défense allemande acharnée. Là encore, les FFI les appuient lors de combats qui durent jusqu'au 19 septembre, détruisant la ville. La liesse populaire qui s'ensuit ne doit pas faire oublier les images traumatisantes liées à l'épuration extrajudiciaire – plus maîtrisée, cependant, qu'on ne l'a longtemps cru – qui s'effectue principalement entre le 6 juin et septembre 1944, lors des combats et de la répression des maquis. Il y eut 581 exécutions sommaires et plus de 270 femmes tondues en Bretagne. Cette phase, brève mais violente, joue un rôle de catharsis. Tony Vaccaro, GI, photographe, retient l'image d'un soldat embrassant une petite fille à Saint-Briac-sur-Mer au milieu d'une ronde de jeunes femmes, mais pour d'autres femmes, le GI est celui, blanc ou noir, qui les a violées. Si ces faits sont minoritaires, ils n'entachent pas moins la Libération. Libération qui n'est pas encore achevée à l'automne 1944, car les Allemands se replient sur leurs bases sous-marines de Lorient et Saint-Nazaire. Ces poches de résistance fixent certes des troupes allemandes (25 000 à 30 000 hommes à Lorient et quelque 25 000 à Saint-Nazaire) mais également des troupes alliées. Les Américains ne veulent pas prendre d'assaut ces ports (trop coûteux en temps, en hommes et en matériel). Ils confient donc aux FFI la tâche de tenir les positions. Une forme d'hommage à leur combativité, certes, mais une source d'inquiétude pour les habitants des villes concernées. A Lorient, 18 bataillons de FFI participent aux combats et une vingtaine à Saint-Nazaire. La situation de cette dernière poche est plus difficile car, plus étendue, elle prend au piège 124 000 civils. 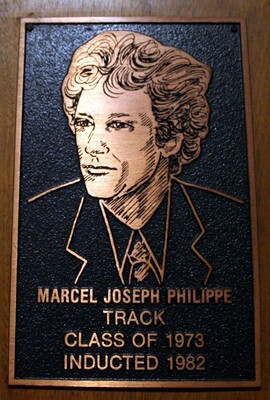 In 1973, when MARCEL PHILIPPE, a native New Yorker, was named to the French track and field team, he could hardly speak French. Now he speaks it so well that he spent the last two weeks in New Orleans as the expert commentator for French television at the United States Olympic track and field trials. Philippe was a half-miler and miler at Fordham University, good enough to have won the 800-meter silver medal in the 1973 World University Games. His parents, Yves and Leonne, were born in Brittany, France (Yves became a celebrated chef in New York, known as Philippe of the Waldorf). "They could speak English," the son said. "In fact, my mother was a graduate of Hunter College. But French was more natural to them. They spoke to my sister and me in French and we talked to them in English. I understood French, but I didn't speak it much then." Philippe, 40 years old, lives in Manhattan and is a lawyer in the Manhattan District Attorney's office. At the track trials, he was on television live from 30 minutes to three hours a day. "I'm comfortable with the French language," he said, "but I'm not 100 percent with it. I have a very good vocabulary, but I'm always amazed at how many nuances there are in the language, how it is so much more precise than English. When you juggle the vocabulary, you can be more precise. I'm getting there."